Experienced in chiropractic, health, wellness, and fitness, Dr. Gary Smart, a graduate of Palmer College of Chiropractic, has been providing exceptional chiropractic care to the South Portland community since 1982. Acute and chronic care is offered for musculoskeletal conditions, including low back pain, neck pain, headaches, sciatica, shoulders, knees, elbows, wrists, ankles and more. As a coach for many years, Dr. Smart has a keen interest in sports injuries and fitness. 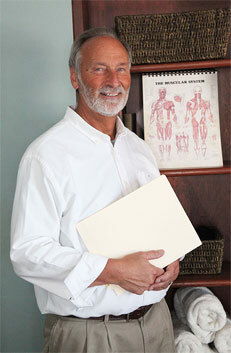 South Portland Chiropractic & Massage Center staffs professional massage therapists who are available Monday – Saturday. We focus on wellness and preventive care for those who want to maintain a healthy lifestyle, and offer compassionate care and guidance to our patients. Call us today at 207-774-7242 to book an appointment. "Dr. Gary Smart is fantastic! I think of Dr. Smart as a coach. He gives me the tools I need to better myself, and I have felt so much better after one visit."